The maCares Animal Relief and Emergency Services Fund was established to help with the cost of emergency services and special care needed for rescued animals in association with a local animal rescue group, Red Dog Farm Animal Rescue Network. The maC.A.R.E.S. Fund was created when a critical need was identified for the many homeless animals that are in need of emergency care/treatment in order to save their lives and to increase their chances of finding a fur-ever home. maCares has engaged in fundraising efforts to build the Emergency Relief Fund and has been able to help over 150 animals since the maC.A.R.E.S. Fund was established in mid-2014. 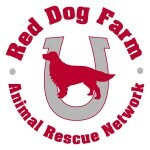 Red Dog Farm Animal Rescue Network is a North Carolina 501 (c)(3) nonprofit corporation formed in August 2006 to rescue and rehabilitate neglected, abused or otherwise unwanted animals in and around Guilford County, with a particular focus on domestic farm animals. The rescue utilizes a network of volunteers and private foster families to accomplish their mission. To date, Red Dog Farm has helped rescue over 2,600 animals including but not limited to horses, dogs, cats, sheep, pigs, goats, bunnies, birds, and reptiles. Their office is currently located in Bur-Mil Park in Greensboro, NC. Will you join us in helping to give homeless animals a second chance at life? Please make a tax deductible donation and/or contact us to learn more about how you can get involved. Success Stories – Check out a few of the before and after pictures of animals benefitting from the maC.A.R.E.S. Fund and consider making a tax deductible donation to support other sick or injured rescues! Applejacks came to Red Dog Farm Animal Rescue Network weighing only 85 pounds which is half of what she should have! Due to her condition, Applejacks required a number of tests to rule out diseases or conditions that could have caused her poor condition. Fortunately for her, everything came back negative or normal. The maC.A.R.E.S. 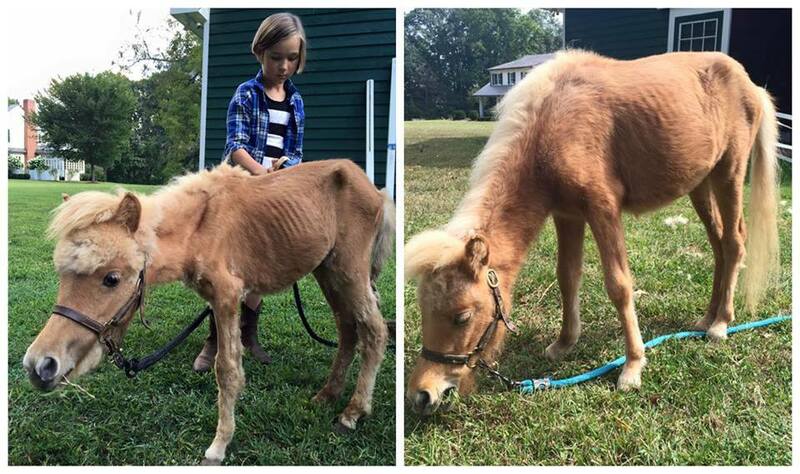 Fund was able to help Applejacks get the care she needed so she could beat the odds and survive. Applejacks then began the slow process of learning to learn to eat again. She is now in a loving forever home with two miniature horse buddies to keep her company and all the food she needs and wants. 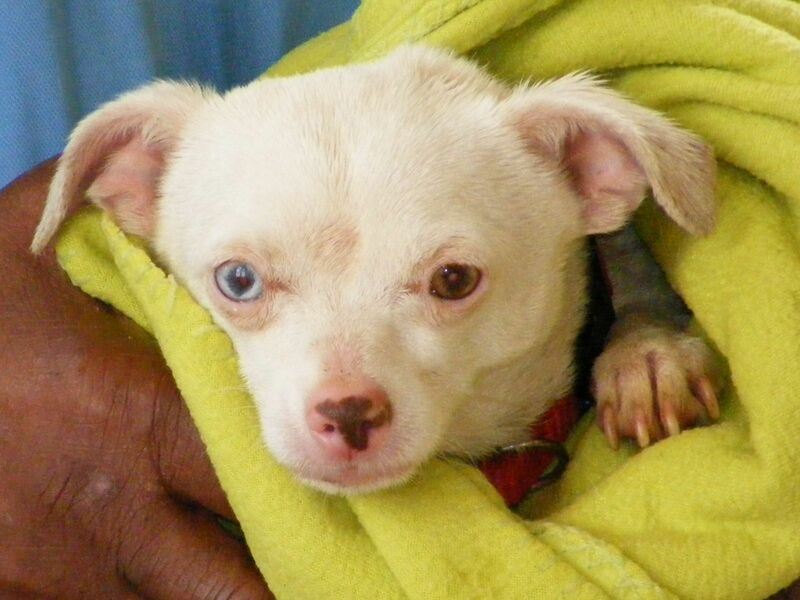 Poppy, an approximately 5 year old Chihuahua mix, came to Red Dog Farm Animal Rescue Network when her owners could no longer keep her. 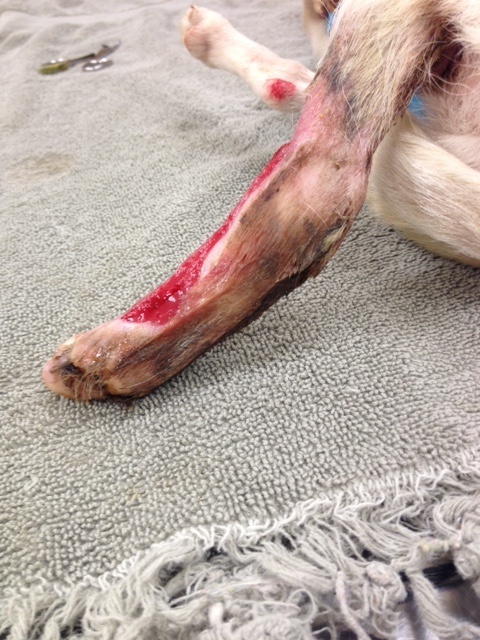 She was hit by car and suffered a broken leg and de-gloved left rear leg. The former owner did not understand the severity of her injury and left her in the same bandage for three weeks while keeping her outside. 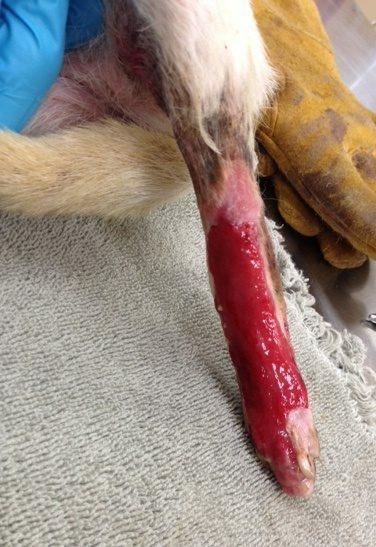 They had hoped to be able to raise the funds for the necessary amputation, but due to the cost and after care required, the end result was owner surrender. After taking her in, Poppy tested heartworm positive. Not only is she now three legged, but she is also hearing impaired. Poppy was a recipient of the maC.A.R.E.S. Fund to help with her veterinary care. 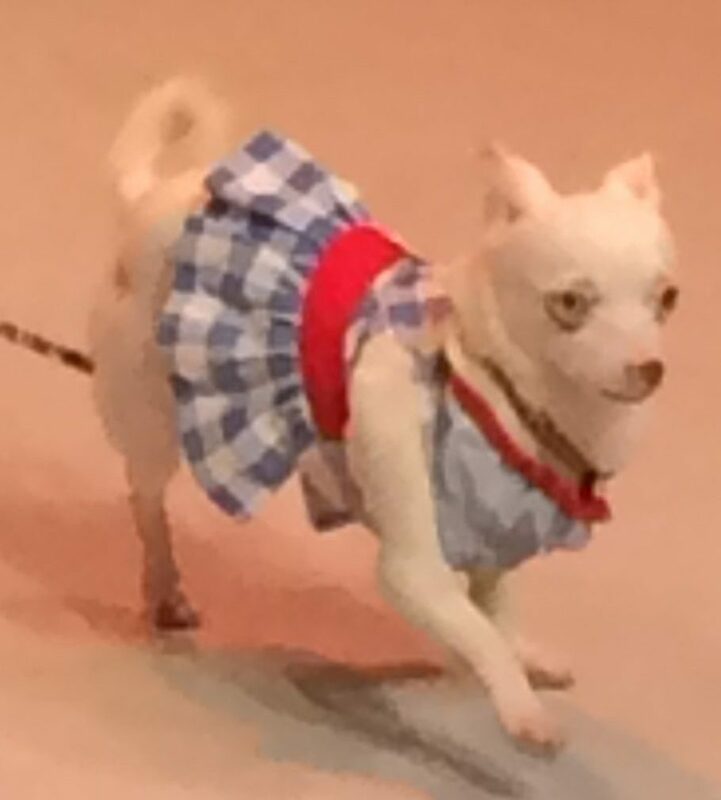 Poppy’s issues have not prevented her from living life to the fullest. Lacie came to Red Dog Farm Animal Rescue Network with a skin infection, ear infections, eye infections, bladder infection, matted hair, deaf and a giant bladder stone! Thanks to the maC.A.R.E.S. Fund, Lacie received a makeover in more than one way. 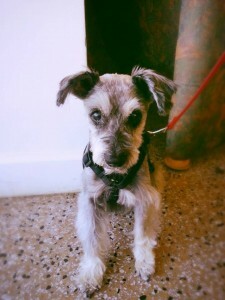 After several weeks of TLC, veterinary care and a new ‘do’ this gal feels like a new pup despite her age. 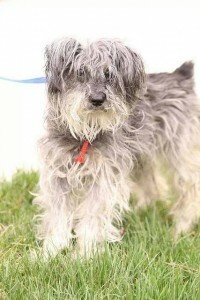 Perhaps best of all, she has now been adopted so she can live out the rest of her days in a loving home.